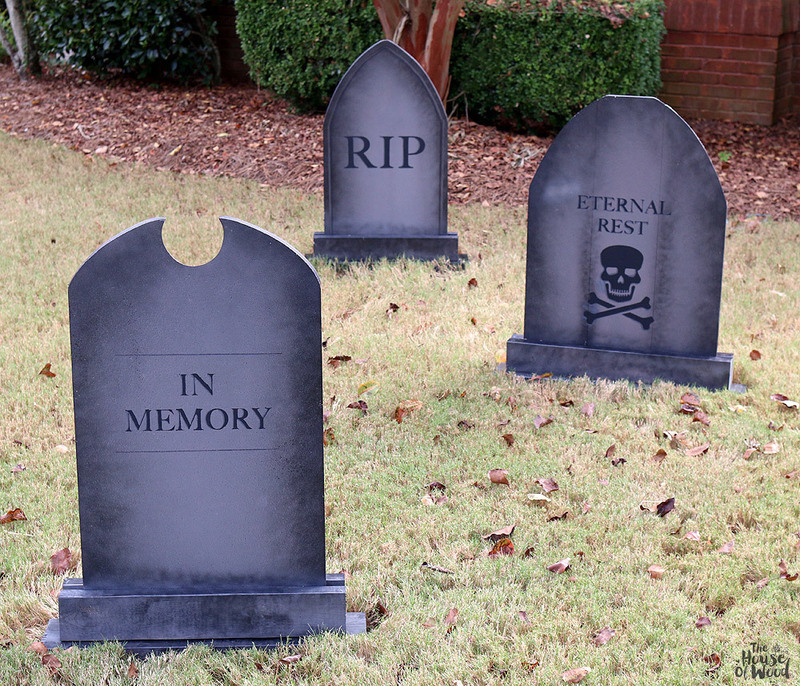 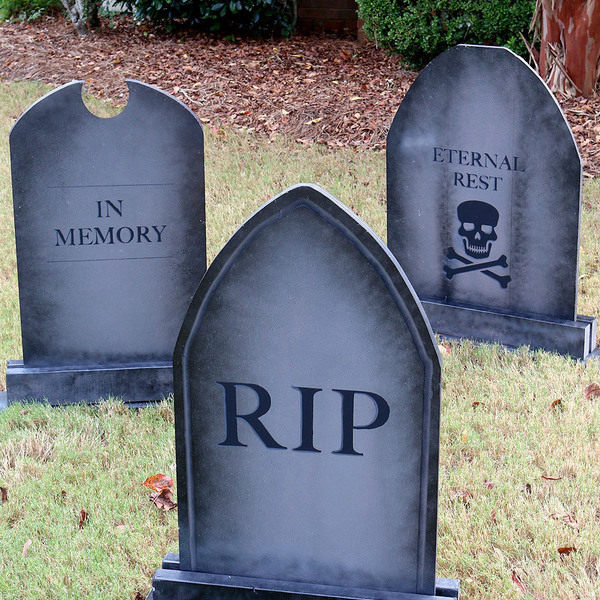 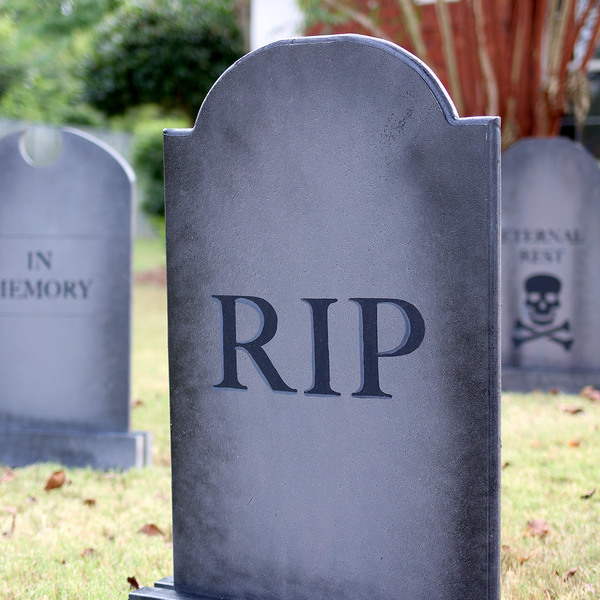 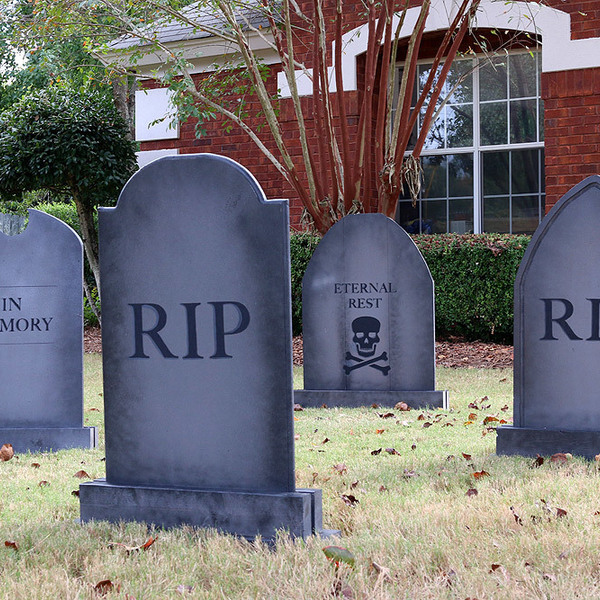 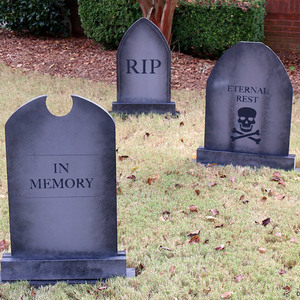 This Halloween, turn your lawn into a creepy cemetery with these free-standing DIY gravestones. 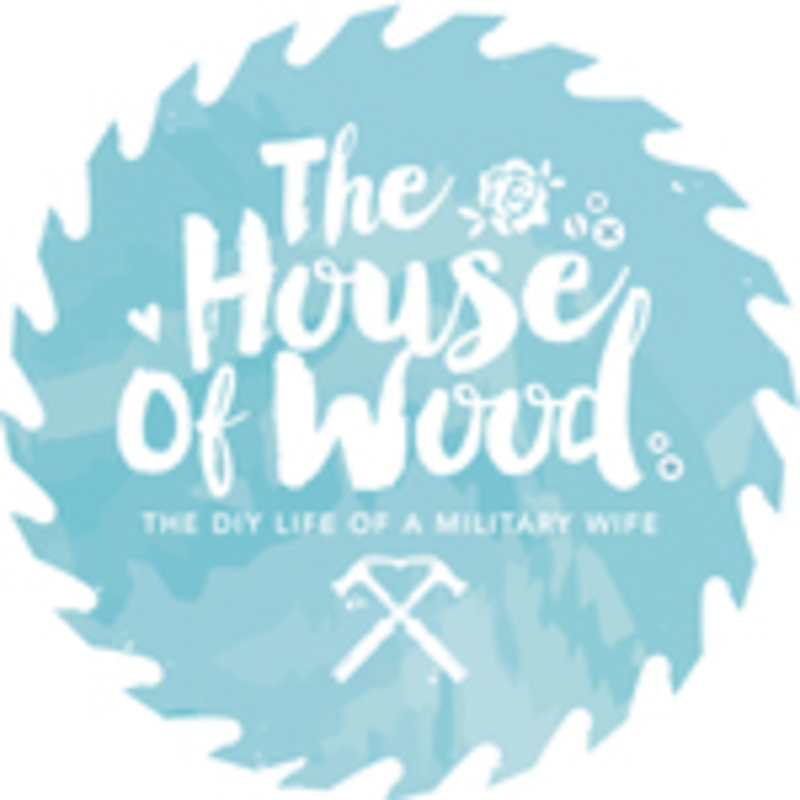 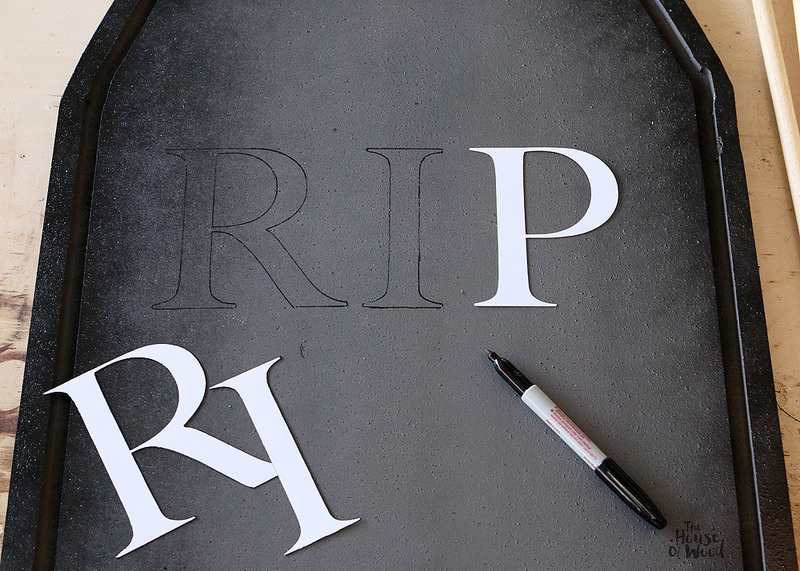 Sketch out a gravestone shape with a pencil and cut it out with a jig saw. 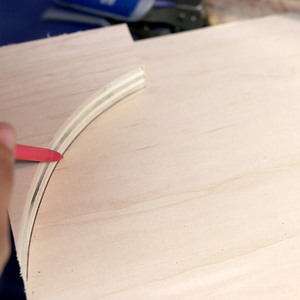 Once you've cut one side, take the scrap piece, flip it over and use it as a template for the other side, so that the two sides will be identical. 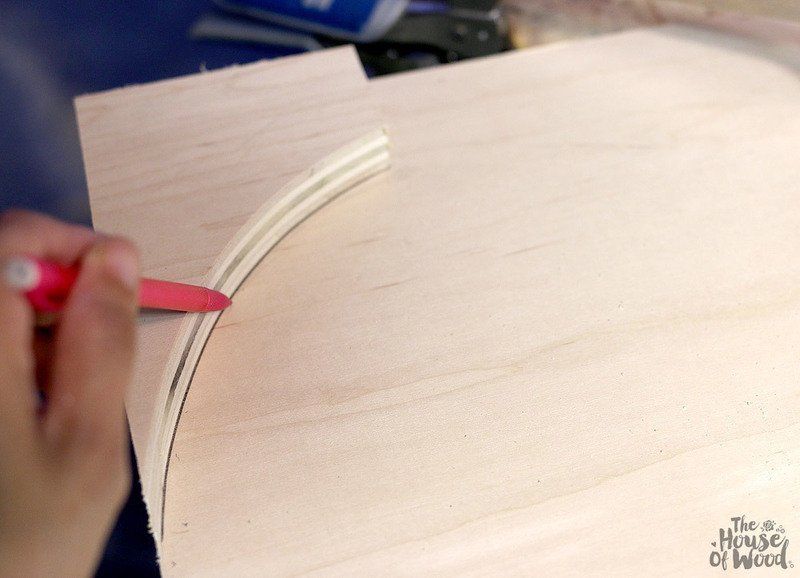 Cut it out with the jig saw. 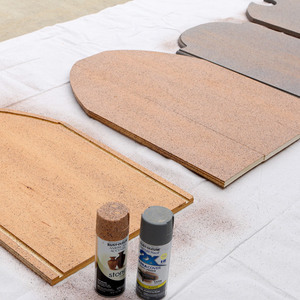 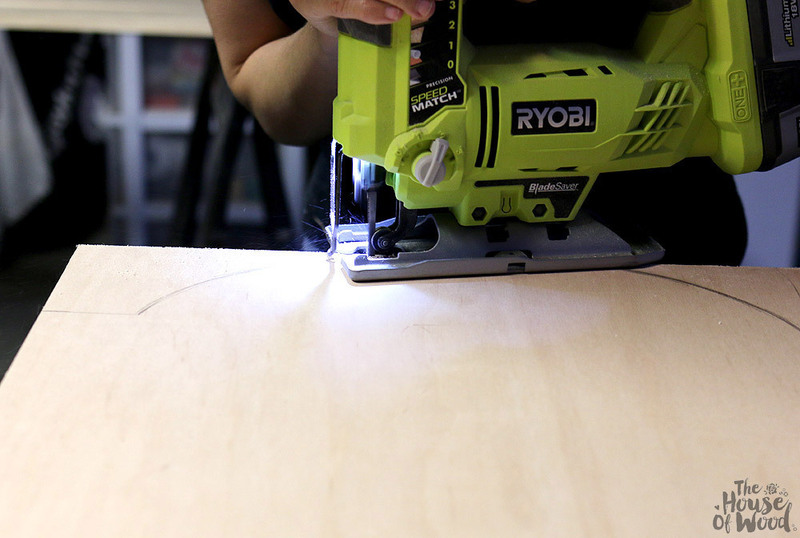 Use a router to route decorative edges on the gravestone. 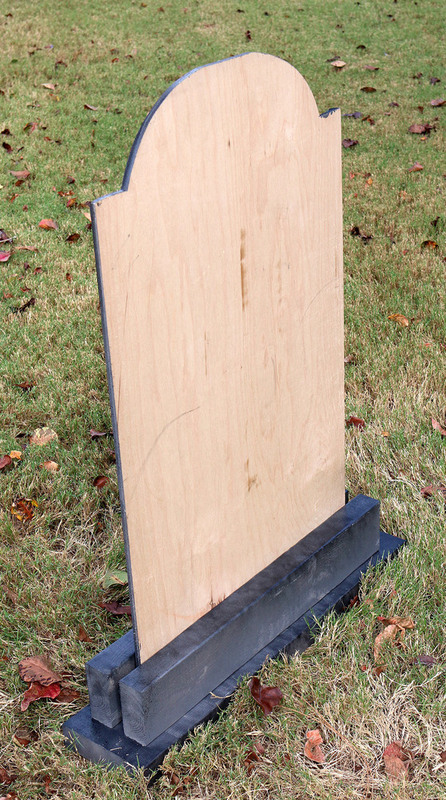 Alternately, you can plank boards together to make the gravestone. 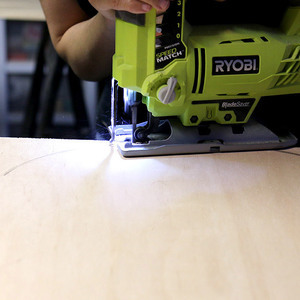 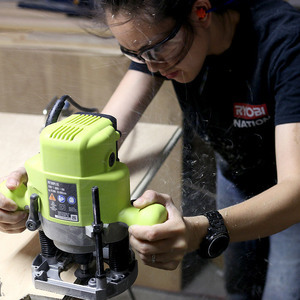 Use a brad nailer to attach the back supports as shown. To give the plywood a stone texture, use a textured stone spray paint and spray the surfaces generously. 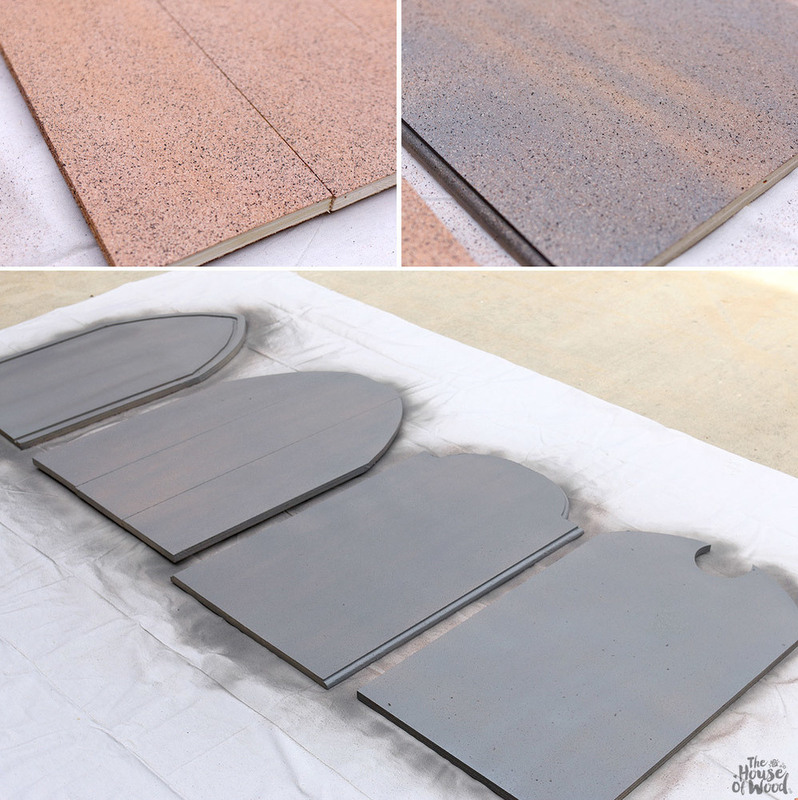 Follow up with gray satin spray paint. 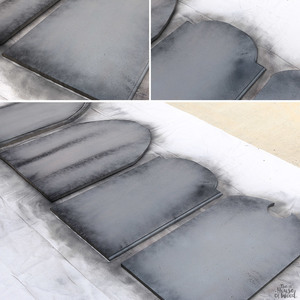 Lightly dust the edges with black spray paint to make the gravestones look old and weathered. 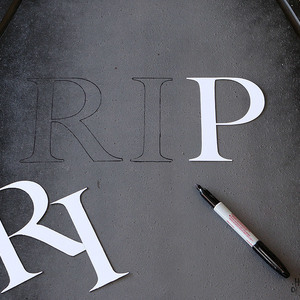 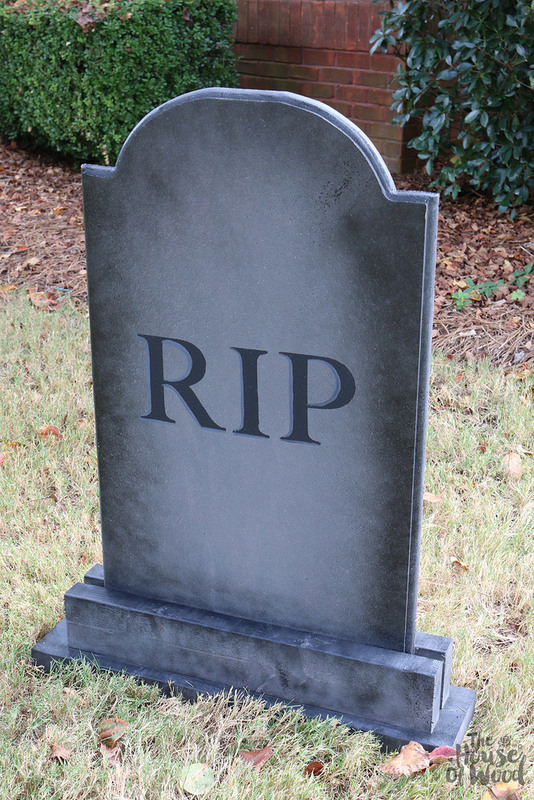 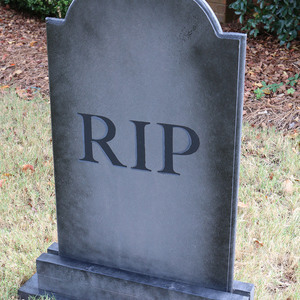 Print out "RIP", "Eternal Rest", and "In Memory" on card stock, cut it out and use it as a template to trace the engravings onto the tombstone. 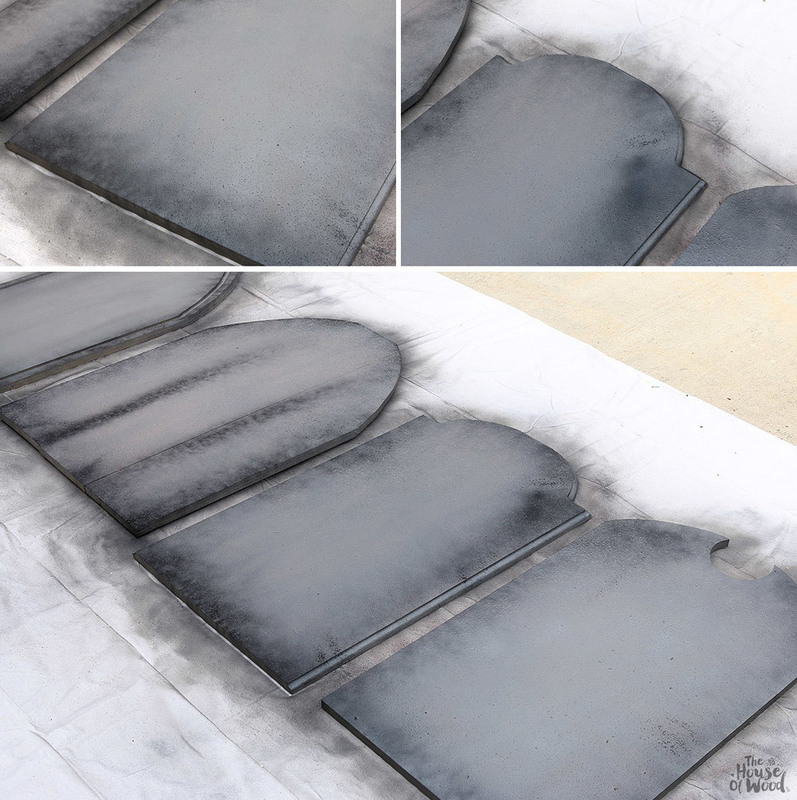 You can use a permanent marker, or black acrylic paint with a small paintbrush. 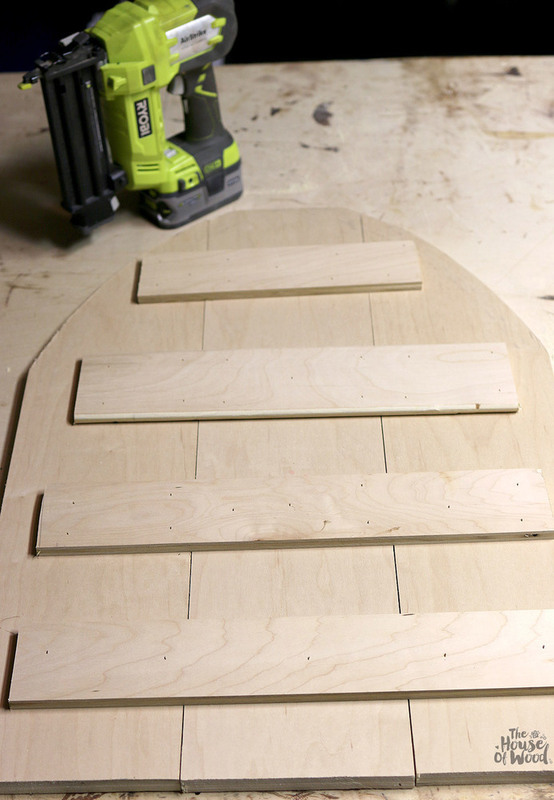 The base is built with a couple of 2x4s and a 2x6 board. 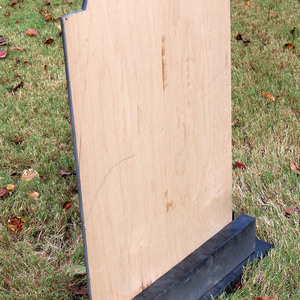 The plywood gravestone is sandwiched in between the 2x4s and screwed together. 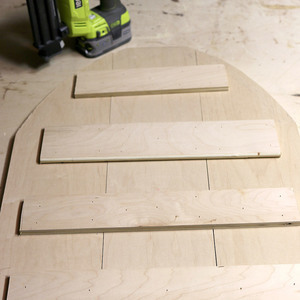 Then the 2x6 base is screwed in from underneath. Here is the back view of the gravestone. 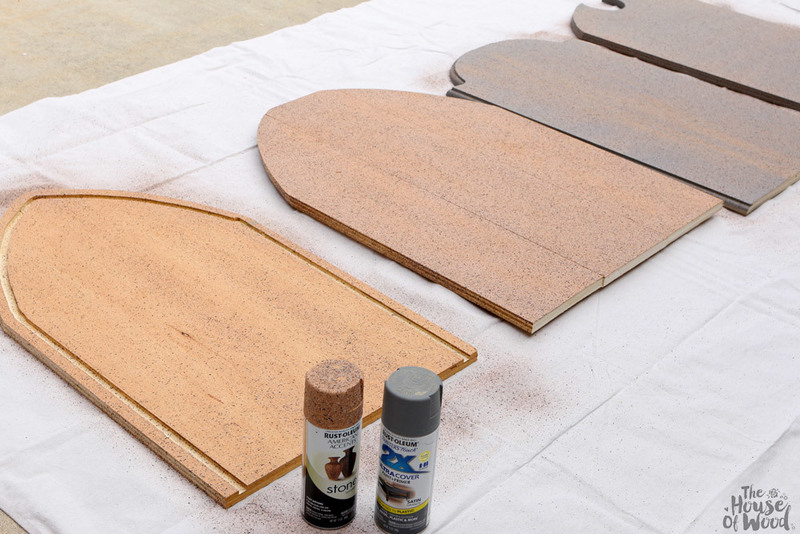 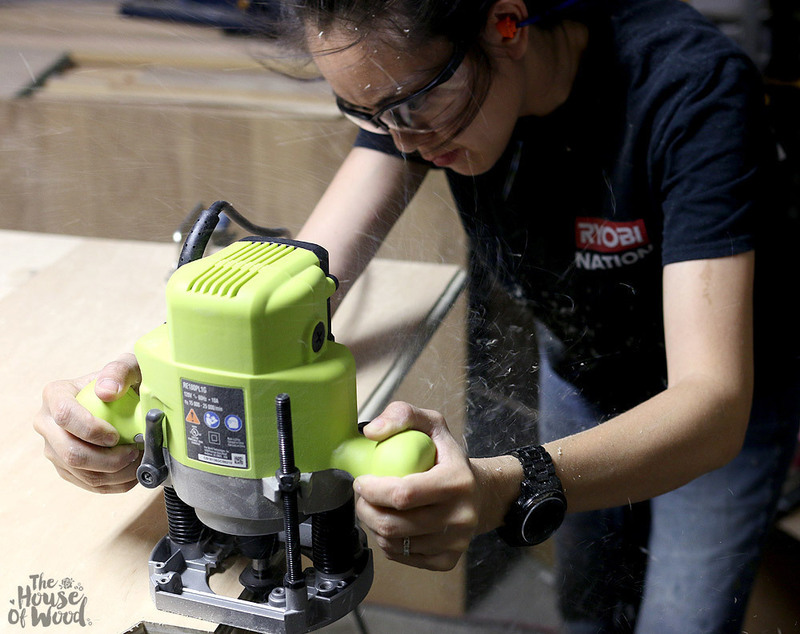 Plywood does not fare well outdoors, so be sure to protect it with 2-3 coats of clear polyurethane. Scatter the gravestones in your yard and have a happy Halloween!